GORGEOUS!!! Love all that colour!!! I take inspiration photos literally too….lol. Can’t wait to play along this week. Last week I missed the cut….but played! Gorgeous is right. You really did a fab job incorporating the colors and working the magic with washi tape. This is truly beautiful Beate love those colors!! I really love all of the bright colors in this one. It is fabulous! I love the bright colors on this! I have a horrible time mixing patterns and yet, you make it look so easy and perfect! Really beautiful take on the color challenge. Amazing work, Beate!! Lovely card. What a great idea for a challenge. I can’t wait to get home and create a card. I love your interpretation of this photo, Beate. So lovely and delicate. You are such an amazing artist! Another wonderful washi tape! Gorgeous. 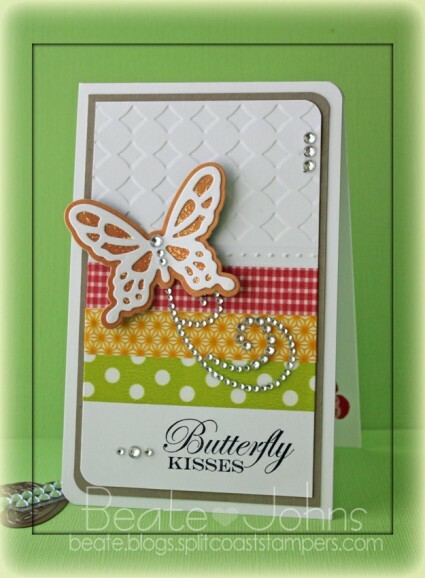 Your cards are becoming regular items on my wonderful washi Pinterest board. Just stopping by to wish you a Happy Thanksgiving. Hope you have a wonderful day. Beautiful card Beate! 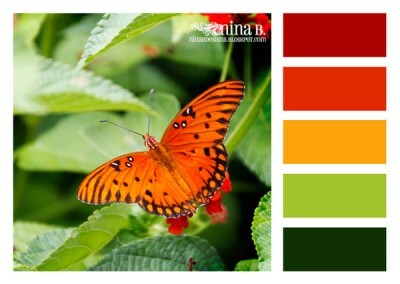 Love the pretty butterfly and burst of color! What a delightful card – so happy and colorful! 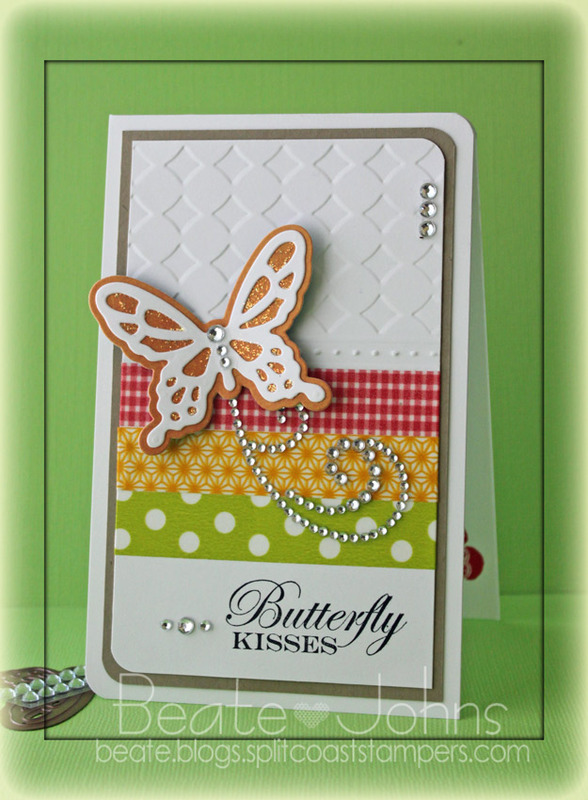 I love the use of the strips of paper and the butterfly with the rhinestones! So pretty! Wishing you a happy Monday! love how you used those yummy colors. such a beautiful card, Beate! love it! Love it. You do great work Beate!! !